We have seen a 9 month old patient in our urgent care center in Dr. Phillips area in Orlando with rash for 24 hours. The patient is feeling fine and is not itching. Mother was concerned about strep causing the rash because his older brother had strep. 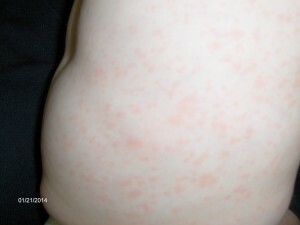 The patient had high fever for 2 days prior to the rash and fever was gone when the rash appeared. Dr. Jain who is board certified in Emergency medicine and pediatrics examined the patient and diagnosed the patient having roseola. Dr. Jain also did the strep test, which was negative and excluded the diagnosis of scarlet fever. Roseola is a viral infection caused by herpes virus family and is spread by a respiratory route. The patient typically have high fever for 2 to 3 days and appearance of the rash with resolution of the fever. Rash can last for 2 to 3 days & the patient feels fine with the rash. This entry was posted in Emergencies, Emergency Care, Family Health Care, Medical Needs, Patient Stories, Pediatrics, Routine Medical Services, Urgent Care and tagged diagnosis of scarlet fever.Roseola, Dr. Phillips area, Dr.Jain who is board certified in Emergency medicine and pediatrics, herpes virus, high fever, itching, Orlando, Rash and fever, rash for 24 hours, roseola, strep, strep causing the rash, strep test, Urgent Care Center, viral infection, y and is spread by a respiratory route. 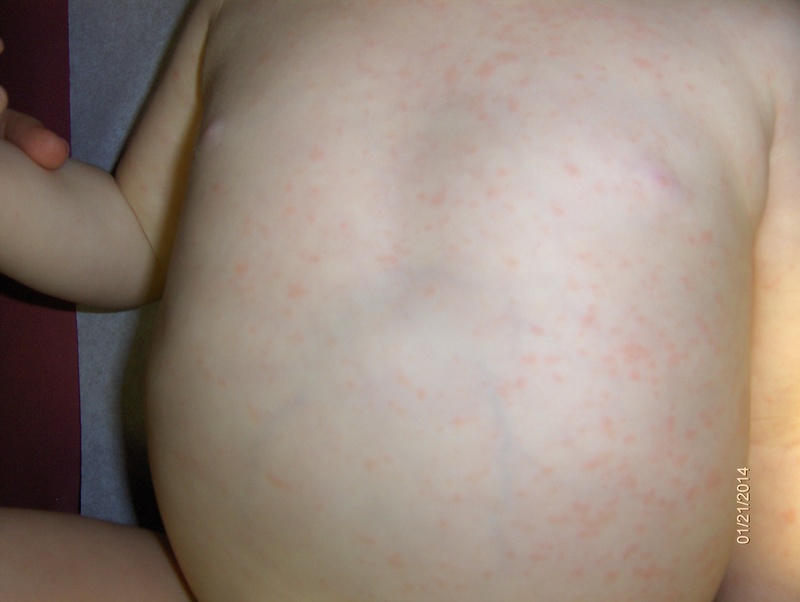 The patient typically have high fever for 2 to 3 days and appearance of the rash with resolution of the fever. Rash can last for 2 to 3 days & the patient f. Bookmark the permalink.